A full alarm system that is installed isn’t really feasible, so finding alternative ways to protect your things as well as your family is at times necessary. Well this YETI Portable Security System is one option to keep your home safe. It’s of course nothing all that advanced, but it is portable, so it would be great for anyone that likes to travel but wants to feel a little extra safe. The self contained security system has motion and bump sensors. When set off it has high intensity lights and a siren to scare off whoever activated it. One extra cool feature is that it has Bluetooth, so when it is set off it will actually call your cellphone to let you know. Which would make it great for leaving behind at your house while you’re out of town. It comes with a rechargeable battery that will last for weeks on a single charge. 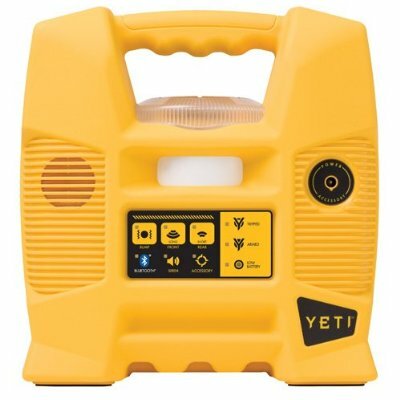 To pick up the YETI Portable Security System YT-100 it will cost you $249 on Amazon. Since when is bluetooth able to place calls to your cell phone? Someone doesn’t understand the basics of bluetooth.